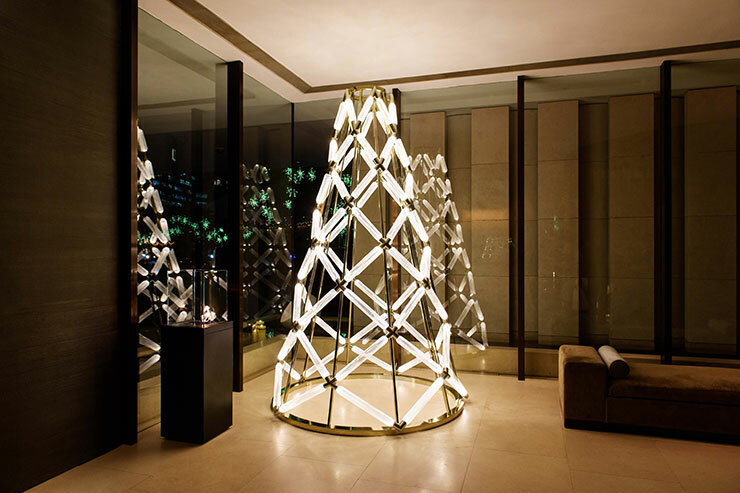 In November 2017, Yabu Pushelberg, the award winning design studio, and LASVIT, the innovative Czech glass manufacturer, partnered with The Upper House in Hong Kong to present The Upper House Christmas Tree, a stunning design and light experience with the creation of a bespoke glass Christmas tree. 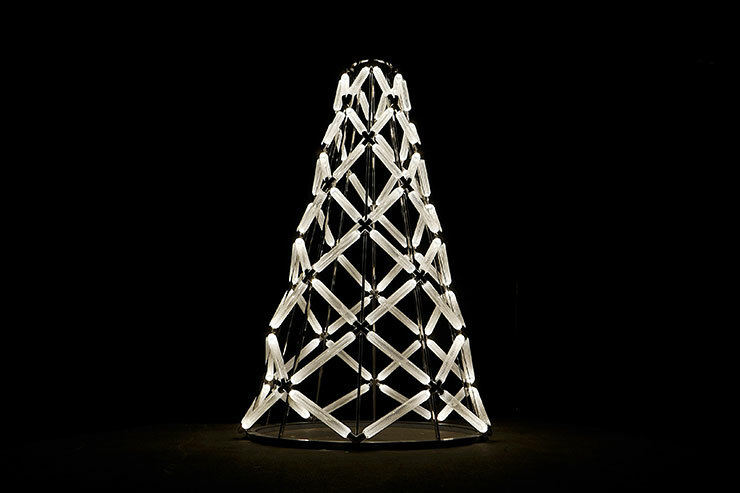 Based on the Otto glassware and Cipher light collections Yabu Pushelberg designed for LASVIT, The Upper House Christmas tree represents a balance between heritage techniques, dramatic textures and contemporary forms. A warm and illuminated entrance will receive guests before they commence their upward journey through the House. 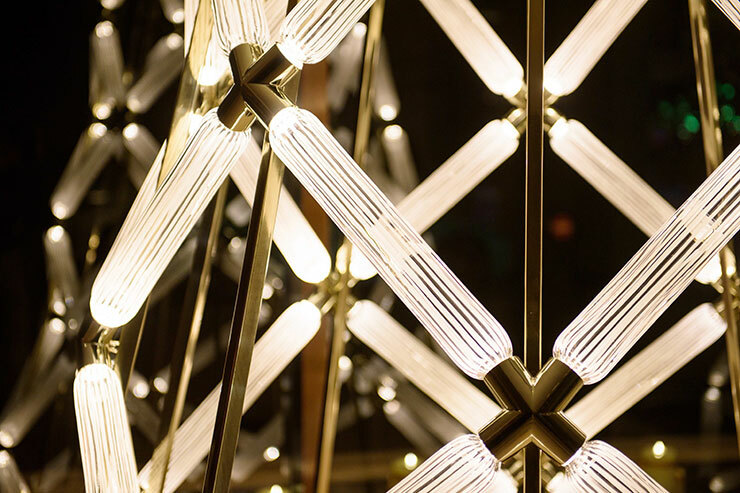 The tree-shaped installation is made from a lattice web of hand blown glass elements that are connected together by champagne-gold polished brass fittings. 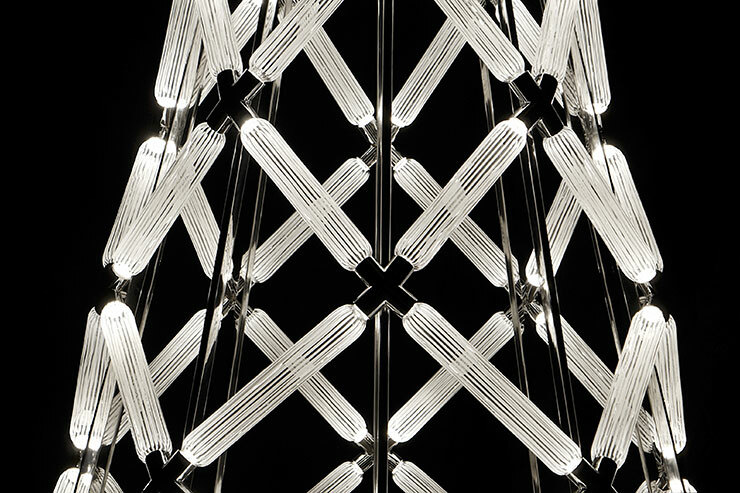 Just like the system of Cipher lights, each of the elongated hand blown glass capsules that make up the abstract tree are hand-etched with clean-cut vertical lines. 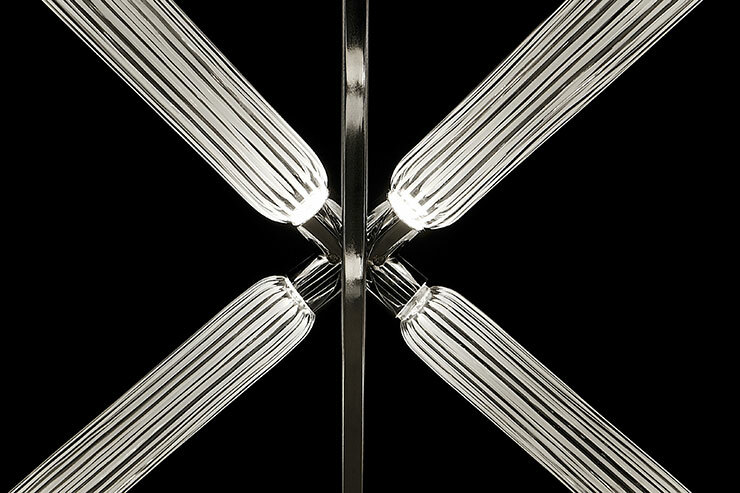 Hidden LED sources within the brass connection points soften the bulbs’ illumination as the light travels downs the etched lines. 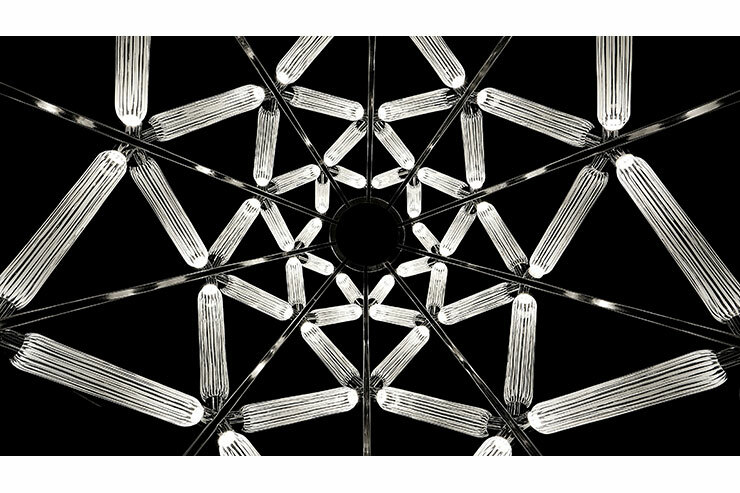 The design represents a balance between heritage techniques, dramatic textures and contemporary forms. 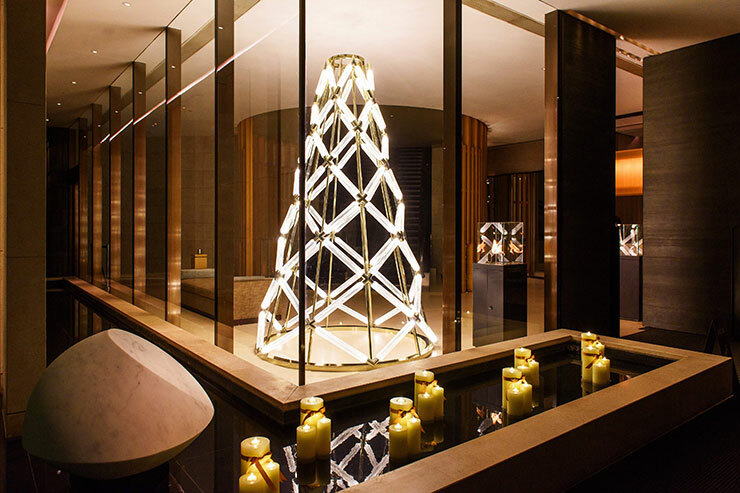 A warm and illuminated entrance will receive guests before they commence their upward journey through the hotel.